Recently Viva have been tackling more and more online marketing, pretty much all of the telecom companies are seeing the value of social networking and blogs in Kuwait and its a very nice thing the Big Three are doing. Recently over the past year Viva seemed to be aggressive about gaining online coverage getting more and more blogs but what I find to be restrictive about their sponsorship. 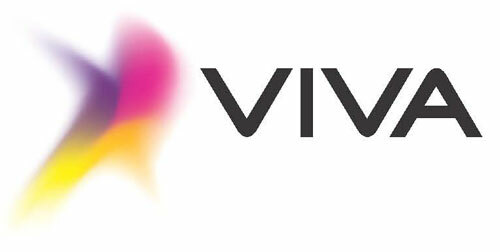 If you are sponsored by Viva you can’t cover any social networking event by the other telecom companies, and you can’t cover new product details of the other company. This is when I think that advertising isn’t worth it when there are restrictions of these kinds attached to it. Update: Wataniya & Zain do not have that policy, they are fairer in the way they do business. Is this the same for the other two as well? Some bloggers were hinting other blogs couldn’t cover some events because of their sponsors and I was wondering who would do that! I’m sponsored by Wataniya, and what was decided is that i’m exclusive to to them and i don’t post about any one else, bs i don’t mind eb9ara7a, they don’t kill me with posts and i’m really not into posting about telecoms and i don’t go to events so matfrig ma3ay :p But the weird thing is akeed they signed a contract? Why doesn’t the blogger say NO in the start???? At the end is up to them…bs they should be aware of these things when dealing with big companies..
Kuwaiti bloggers are such tools trying as hard as they can to get “sponsorship.” The amount of greed and bias I see on Kuwait blogs is sickening. Yeah, its so damn expensive to run a website or something that you need more money? It isn’t, they’re just in it for the profits they get. I’ve heard from direct sources the amounts of money Kuwaiti bloggers get, not to mention the free gifts they get constantly, such as free dinners, free samplers, free phones, etc. etc. It’s not blogging anymore, it’s an advertisement page and that’s when I stop going to their blogs. Kuwaiti bloggers are literally destroying what blogging is all about, unbiased personal stories and experiences!!!!! Hmm.. not strange about Viva. Dunno if this is the right way to do it but since they keep doing it then it must be profiting them. Its not only about sponsoring blogs or website. Its further than that.. Take the football match that took place couple of weeks ago between Kuwait and…[can’t recall who]. It was big match I believe and I knew many people wanted to go. Their only problem was that Viva sponsoring our national football team and so tickets for the match were also sold at Viva booths ONLY!! I haven’t signed any “exclusivity” deal with anyone. got both Wataniya and Viva (via knockbook” ads. I would never sign such a deal since I mostly cover tech and that would severely hinder expressing my views. @yousefq8: plz don’t generalize. As not all Kuwaiti bloggers are “tools”.